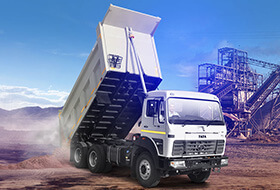 The Tipper range by Tata comes loaded with high power engines that are capable of producing enormous torque and delivering great performance. 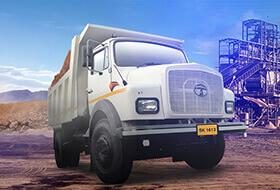 Tata Signa 3718.TK with its excellent features provides superior traction, load acceleration, good restartability, and optimised fuel economy. 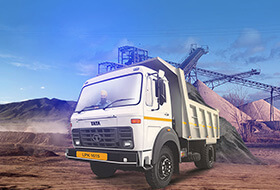 Tata LPK 3118 with its high power producing capability and massive fuel tank makes for an ideal choice for industries that require frequent transportation of heavy goods. 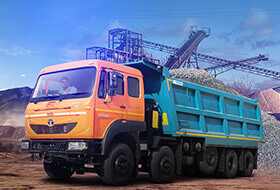 The Tata Prima LX 3125.K with its fuel efficiency, higher reliability, and longer service intervals is an ideal choice that require heavy usage of tippers for longer periods of time. 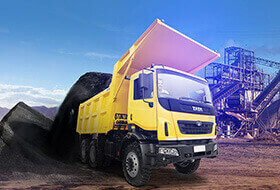 The Tata Prima LX 3130.K is well suited for mining in coal, iron ore, lignite mines, and for bulk limestone movement in off-road applications. 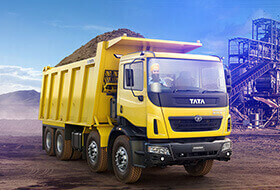 The Tata LPTK 3118 is a heavy duty tipper that offers great mileage. 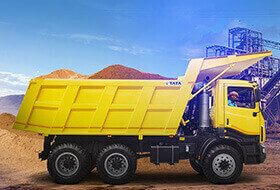 Its high power producing engine makes it an ideal choice for construction and mining industries. Tata LPK 2518 comes loaded with a power performance engine that makes it a winner, especially in rough terrains and on difficult roads. 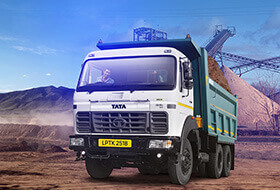 The Tata LPK 2523 with its advanced features is a great choice for those looking for a power packed combination of performance, productivity, and easy driving. 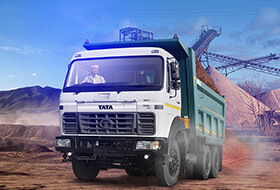 Tata LPTK 2518 tipper comes with a well-performing engine, a massive fuel tank, and a high gradeability - making it an ideal choice for industries like mining and construction. 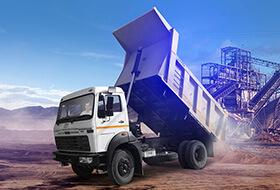 Tata Prima LX 2525.K is an ideal combination of power and economy to deliver great performance, especially in the construction and mining industries. 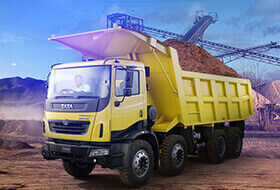 Tata Prima 2530.K is built specifically for off-road mining applications. The reliable powertrain ensures maximum efficiency. 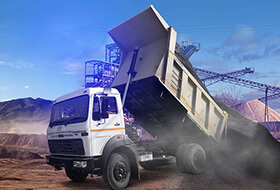 Tata LPK 1618 is a tipper offered primarily for construction and mining industry. A power steering and an impressive gradeability of 42% make it ideal for climbing and manoeuvring easily. 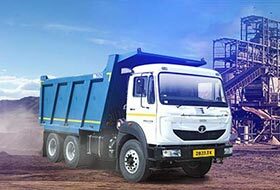 Tata LPK 1615 is a medium duty tipper that offers a power packed combination of performance, productivity, and value for money. 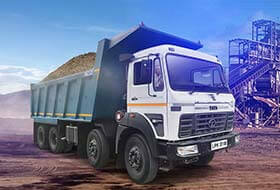 The Tata SK 1613 Hymiler is a great performing tipper. With its high gradeability and a hydraulic power steering make driving easier and more comfortable. Tata LPK 1613 Hymiler comes loaded with a 100 Kw engine that produces optimized power to give higher torque at lower RPM and thus saving fuel. 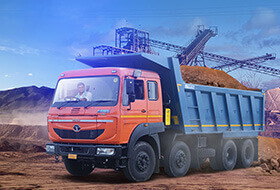 The Tata Signa 2823.TK is India's first 3-axle tipper with increased axle load. The advanced calibration feature facilitates higher fuel economy and optimized vehicle performance.